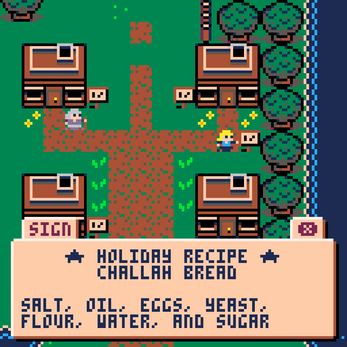 A light, multi-day adventure game about making challah bread for Hanukkah. 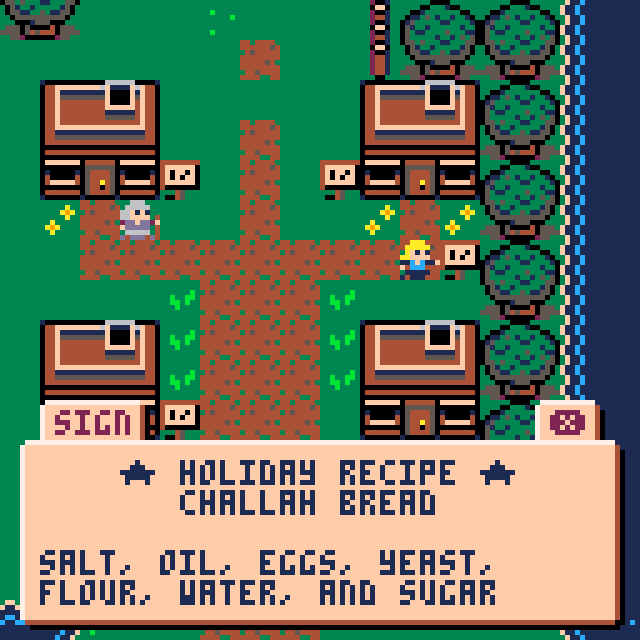 Each piece of the game will unlock as the days of Hanukkah go by. Enjoy! Thanks for making this! Jewish representation in games is super rare. I love this game ^^ GG!